I've been doing weddings for a very long time and truly love what I do. Wedding Design, planning, orchestration and 'just being there' on the day of many weddings. I've been there through the confusion at times, through the melt downs and through the wonderful celebrations when it all comes together, knowing that I've been blessed to be involved in a historical event for that particular bride. Many of my brides still keep me posted on their growing and beautiful additions to their family. Many have become like extra daughters in my life. I cannot help falling in love with each and every wedding day that I am blessed to be a part of. Whether its the pressing/steaming of garments for the wedding party, preparing the table linens and decor, or custom design and creation of table runners, embellished centerpieces, embroidered handkerchiefs or monogramed bridal gifts; it is where I am happiest. I look forward to becoming a part of your magical day also. Our Wedding Gown Pressing/Steaming services start at $125 per gown and are charged according to the size, fabric and detail involved. You will be expected to provide all these details and photos before final price can be supplied. ​Our reputation speaks for itself. 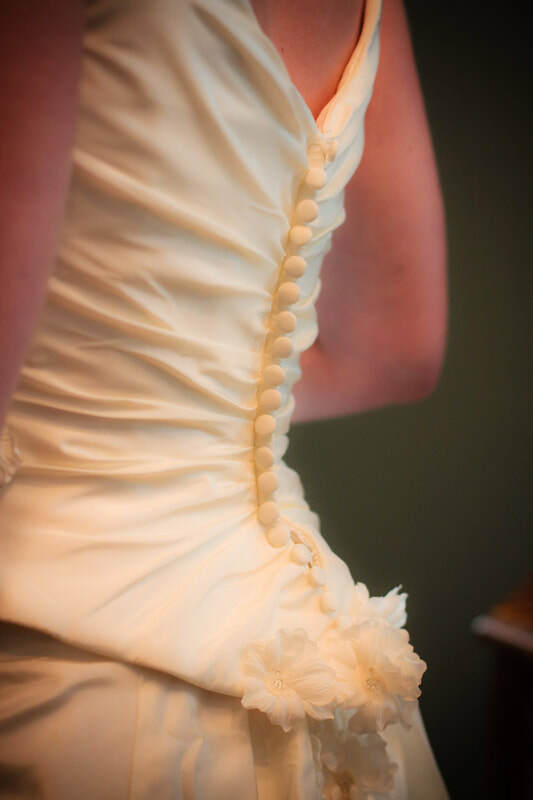 We have been providing our brides with cleaning and preservation services for nearly 17 years. Our service includes pick up, examination, packaging, shipping, cleaning, preservation and shipping directly to your door. Have you ever been to a wedding that was lovely but you wondered why all the table linens were wrinkled and looked a mess? Our staff specialize in wedding day prep of all set up linens and napkin press and menu/program insertion. These services are charged either by the piece or by the hour. In addition to our other services, we are now pleased to offer sewing services. We can offer custom monogramming, custom table runners and napkins, as well as embroidered handkerchiefs. We can also design and create custom hanging lettering and shapes as keepsakes. Call us today to set up an appointment to learn more.